Is the hipster romance with Riesling over? Sommeliers and wine experts have been pushing Riesling for years as the next new “hip” varietal. But sales figures show it has never really caught on. Jason Wilson in a recent article in Wine Searcher argues the Riesling promotion failed because the wines on offer here in the U.S. are too sweet. There is probably some truth to that—the premium wine drinkers I hang with are not into sweet. I love a good Spätlese and there is no wine that goes better with spicy Asian food. But truth be told many of them lack the acidity to stay refreshing on the palate and the drier Kabinett-level wines are often made from inferior grapes, since Kabinett doesn’t get a premium price. 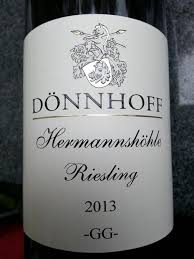 What the wine world needs is quality, dry Riesling—like this Dönnhoff. Anyone who drinks this will fall in love. Hands down the best Riesling I’ve had in some time. Clear, precise aromas of white peaches, lemon and grapefruit with touches of tropical fruit. Complex and very intense. Stunning, bristling acidity on the palate, kinetic yet rich and juicy, finishing with a stony resonance. An elegant wine but with a taut, nervous energy like Catherine Deneuve on the lam. Dry but not bone dry and extremely well-balanced. The problem for Riesling promoters: They can’t create a mass movement with $70 wines. But if you’re tired of Chardonnay and don’t mind splurging to get quality, seek out German wines labeled VDP, especially if they carry the additional designations GG (Grosses Gewachs) or Erste Lage. VDP is a membership organization that includes most of Germany’s top wine estates. Its members must adhere to more stringent standards than those set down in the German wine law. Their best dry wines are labeled Gross Gewachs (great growth) or Erste Lage (first-class site). Yes. You have to do your homework to find good German wine. The Germans are hard-working people and think you should be too. Riesling is a bit of a mystery. Intensely aromatic, with bright fresh fruit, a rich mouthfeel, and bracing acidity, it should be everyone’s favorite white wine. It is refreshing, complex, a great versatile food wine, and the good ones will age well. 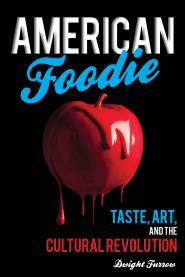 Somms have been predicting its ascendency for years. But it never quite seems to happen. Although sales of Riesling showed strong growth for many years, recently, the growth has flagged, and in any case, it still remains a very small part of the wine business. Well-delineated apple wrapped in pear with faint apricot highlights and delicate floral notes, the aromas leap from the glass but it’s the clarity that makes this wine great—each aroma note is distinct, as if they were carefully etched in crystal. The apple/pear profile makes its appearance on the palate as well, but intense minerality fills in the background giving way to a long finish, almost tannic in its grip and laced with lemon. It is of medium weight and ravishingly elegant but has too much character and strength to be described as lush. Some dry Rieslings can be austere but this wine is warm and endearing yet poised with a slight attitude of superiority. 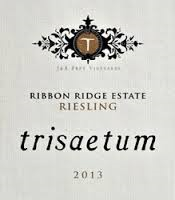 Trisaetum makes several fine Rieslings as well Pinot Noir from their estate-grown grapes. And they are a must visit if you are in the Willamette Valley—winemaker James Frey’s art, on display in the tasting room, is nearly as impressive as his wine. Abraxas is the name of a god or demon depending on which Ancient sect you consult. The mystic psychologist Karl Jung appropriated the name to refer to a God higher than the Christian God and the Devil, that combines all opposites into one Being. Well that is quite a bit for a wine to be. But I suppose this wine does achieve a synthesis of opposing forces. 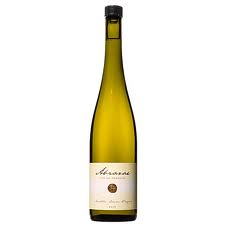 As a blend of 41% Riesling, 28% Pinot Gris, 23% Pinot Blanc, and 8% Gewurtztraminer, with grapes biodynamically and organically grown in the Scintilla Sonoma Vineyard and delivered in the lovely flute-shaped bottle characteristic of Alsace, this is a California wine designed to put you in an Alsatian state of mind. Tangerine, subtle apricot, a hint of pineapple and white flowers vie for your attention on the nose. The aromas largely stay within the citrus-stone fruit range suggesting a relatively cool year. There is no hint of oak. Fermented very dry, it is round and supple on the palate with a medium body and plenty of racy acidity. Well-defined, lively and vibrant, this wine has poise and class with nothing angular until the medium length finish which is quite tart—like a new acquaintance who is friendly on first impression but a little sharp tongued when you get to know her. A distinctive, unusual California wine, and very satisfying. With the clarity of the fruit and strong acidity this is a good candidate for aging. Riesling is my go-to grape. If you are serving a difficult food to pair and don’t have time to experiment, an off dry Riesling has the best chance of working. If you’re serving wine to newbie wine drinkers who think they don’t like whites, Riesling has the best chance of making an impression. If you want something refreshing but with plenty of flavor and interest, Riesling always satisfies. And (if you stay away from Auslese, beerenauslese, etc.) they are usually affordable. This respectable off-dry Riesling (QbA) has just enough concentration to be interesting but not enough to be taken too seriously. It shows off a pretty, tarragon-infused nose complemented by apricot, red apple, and floral notes. The soft, gentle mouthfeel is structured by good acidity and a short but flavorful finish. Residual sugar is modest and stays in the background leaving a crisp, refreshing overall impression. This will pair with a variety of dishes from seafood to moderately-spiced Asian food, if not too sweet. In the battle between a severe head cold and a wine review, the severe head cold won this weekend. I can’t give a fair assessment of a wine when my sinuses feel like they’re about to give birth. So no wine review this week. But I did make a discovery. I served BBQ’d Spare Ribs with a spicy rub and a sweet sauce. The standard pairing for BBQ is a big, fruity Zinfandel or Shiraz but this sauce was too sweet and the rub too spicy for those standard pairings. Every red wine I tried tasted sour or flat up against the Q. It was Riesling to the rescue. Just a cheap, medium-sweet, German Riesling from Pfalz called Pölka Dot (for some unknown reason). Nothing special but sweet enough to stand up to the big flavors in the BBQ and plenty of acidity to provide balance and freshness. I have yet to find a food for which Riesling fails to provide at least an acceptable pairing.